At Collierville Yoga, we practice Ashtanga Vinyasa Yoga or simply Ashtanga Yoga. A popularized name for a systematic approach to yoga as a form of therapy (Yoga Chikitsa) for the body, providing access to the deeper nature of the eight aspects of personal yoga development. This system was developed by SRI K. Pattabhi Jois in Mysore India during the middle 20th century as a devoted student to Krishnamacharya who is attributed with exposing yoga to the western world. 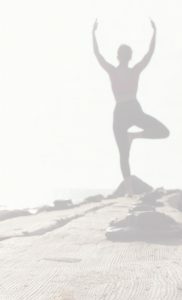 Ashtanga translated from the ancient language of yoga equates to Eight Limbs, or the eight aspects of yoga development. The physical practice is one of the eight aspects known as Asana or postures. Ashtanga Vinyasa Yoga is a pre-set series of postures (Asana) performed in a specific order, moving in a specific manner with each inhalation and exhalation (Vinyasa). This provides a rhythmic connection extending the length of the body during inhalations and folding into the various postures during exhalation. This specific set of postures allows beginners to experience healthful benefits from the very beginning, and to develop a deeper practice. Students develop based upon their own effort, desires, challenges, and self-discipline to create a practice that maintains the health of the body and peace of mind. Beginner classes also known as Ashtanga Vinyasa “Half” Primary is a selected set of postures from the Ashtanga Vinyasa First Series discussed below. The “Half Primary” is shorter in length (60 minutes) and generally includes opening sequences, standing sequences, a few primary series postures, and a closing sequence of postures. Our instructors provide clear instruction for each movement through inhalation and exhalation, assisting students with variations to suit individual limitations and challenges. Virtually anyone who is able to perform basic physical fitness can benefit from this class. The key to Ashtanga yoga posture development is frequency of practice and consistency over time. We ask you to only do what you can and desire to work toward. A beginner may see beneficial results by taking one or two classes per week. Three or more classes per week will have a strong impact on the speed of the body’s development, strength, and flexibility. Each posture is designed to provide a specific benefit to an area of the body including the muscular system, skeletal system, digestive system, respiratory system, circulatory system, and nervous system. No part of the body goes unaffected in an Ashtanga yoga practice. Once a yoga practitioner realizes the numerous benefits from 1-3 classes per week, they may find the next stage challenging and invigorating. This is called the Ashtanga Vinyasa First series. This series also known as the “Ashtanga Vinyas Full Primary” series includes the same opening, standing, and closing postures. Unlike the beginner class, the full series of Ashtanga Primary postures are facilitated during each practice between the standing and closing sequences. The Ashtanga Primary series is a 90-minute session. The yoga instructor leads the group in a traditional style, speaking and counting in Sanskrit, and provides English translation as needed to assist the practitioners. Every level of yoga practitioner can find benefit from a Ashtanga Vinyasa Yoga practice. A student will find they feel extremely revitalized at the conclusion of a practice. Collierville Yoga offers classes offer an Ashtanga Vinyasa Second Series class currently held Tuesday evenings 6-7 pm. This set of posture series for those who seek additional challenges in their practice. These levels are generally recommended to be taken under the close supervision with a yoga instructor with many experience under other instructors who have studied under the direct line of SRI K. Pattabhi Jois and his extended family. Individual development through the second series or the additional advanced yoga posture series is part of a life-long practice not to be treated as a finish line but as a journey to be explored. Ashtanga Vinyasa Yoga is presented in a traditional manner as created by SRI K. Pattabhi Jois and designed to be an experience in breath development in conjunction with body movement. An instructor ensures the students move at the right pace and in a correct fashion to obtain the greatest benefits while preventing injury. Our instructors skillfully monitor each student, provide assistance where needed, adjust a student to ensure correct and safe posture, and provide variations to suit every body type and level of physical capability. Everyone benefits from Ashtanga Vinyasa Yoga. Many beginner and experienced yoga students also enjoy the “Mysore” style practice coined by the name of the city in India in which SRI K. Pattabhi Jois studied and developed the system known today as Ashtanga Vinyasa Yoga. Mysore style is practiced in the studio or Shala by individuals who start at various times and work through the postures at their own pace. At Collierville Yoga, the instructor guides each student based on their level of ability and encourages each student to move forward in the series as their body develops strength and flexibility. Our current Mysore schedule has been suspended for the summer. Along with the Yoga physical posture practice, the wholistic study of yoga incorporates moral attitudes and behaviors towards oneself and others, development of breathing capacity and rhythm, and the ability to focus on the moment, not the mind or the affect of sensory perception. These practices allow the practitioner to move deeper into three different aspects of the meditative practices of yoga. All in all there are eight aspects in this process much like the limbs of a tree! 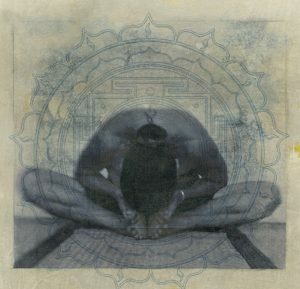 The word Ashtanga is Sanskrit combines the word Ash or “8” and tanga or “limbs.” Vinyasa is a Sanskrit term translating to “movement in a certain way.” Yoga is a Sanskrit term meaning “to yoke, or to join.” All Yoga practice calls us to first treat ourselves and our bodies properly, treat others with equal compassion and respect. Then we take care of our body through the specific physical practice of Asana (postures) and develop the ability to draw in and expel the life force known in Sanskrit as “Prana.” As we develop a sense of calmness we are able to withdraw from a mind driven by the past, future, and present so that we can move into the realm of mindfulness and the moment.